Every family has different traditions or quirks for the holidays (this is true year-round too, I just find that a family’s collective personality really shines during the winter holidays.) For example, my step-dad has always started cooking cinnamon rolls early, even before opening presents, that way the whole house smell like Christmas by the time you’re fully awake. Also, my mom really loves Santa. As soon as Halloween in over, there are Santas everywhere. I don’t mind so much because once Christmas is over, all of the decorations go away, including the Santas. Personally, my favorite and simultaneously least favorite Christmas activity is decorating the tree. My family loves to give ornaments every year, so naturally, we have a TON of ornaments. So many ornaments that they all do not fit on one reasonably sized tree at once. So each year we get to “customize” our tree however we want. Don’t want to use those lights or that ornament this year? No problem, we have many, many more options. 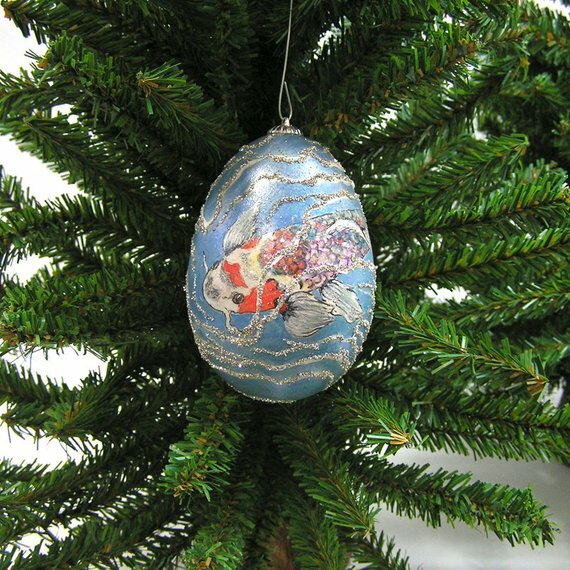 It is especially fun because we don’t only give each other Christmas themed ornaments! 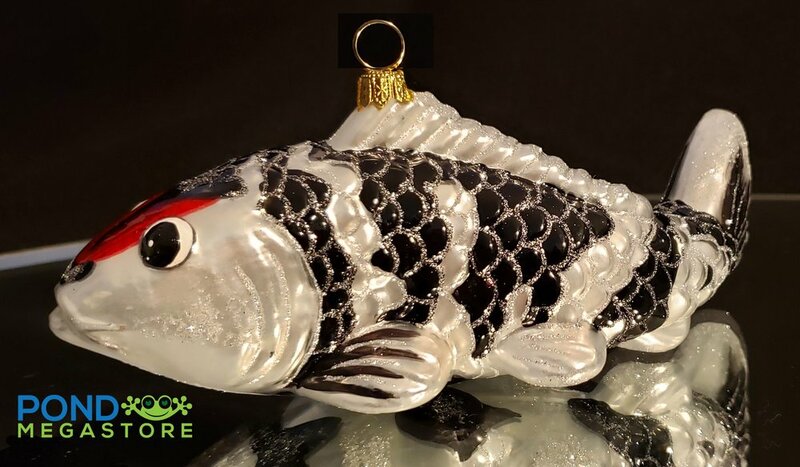 So, shopping for ornaments this year has me thinking about all of the unique and special ornaments that are out there, and I decided to try and find the coolest, or just the most interesting Koi fish ornaments. These are my discoveries. 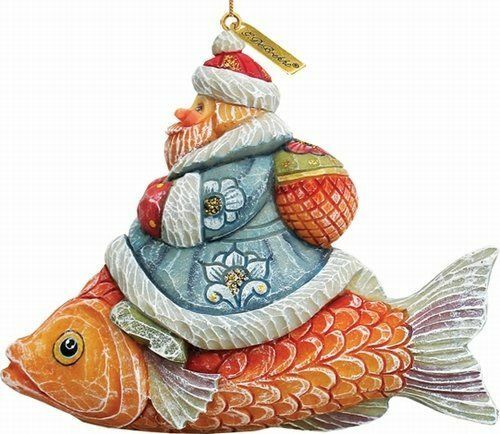 Hopefully these awesome ornaments will inspire you to try to do some koi pond-themed decorating yourself!